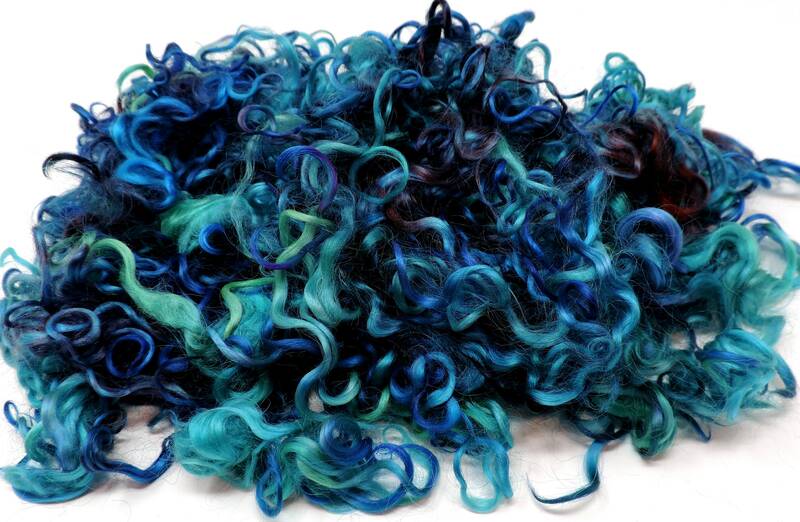 Kettle dyed, lovely Cotswold, 1.8 oz wool fleece with soft and silky locks that measure up to 5 inches long. 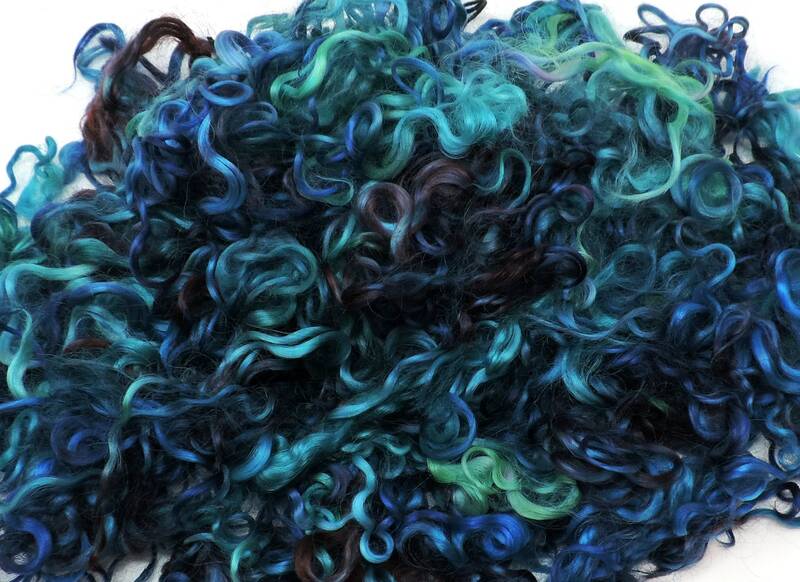 This fleece has a wonderful blue and green color pallette that reminds me of Mermaids playing in the sea. 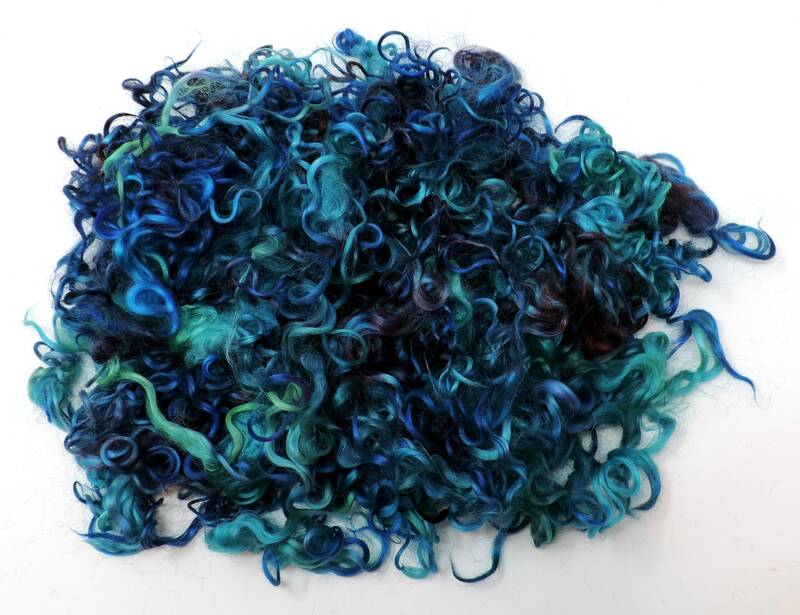 The fleece can be used for needle felting, nature scenes, landscape felting, doll hair, lockspinning, art batts, weaving, embellishments, spinning, add-ins and more. 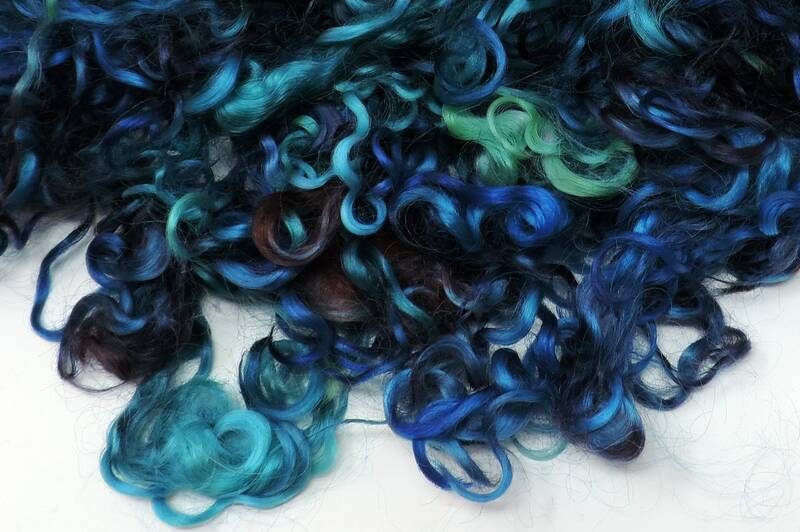 The colors are just as pictured. The locks are perfect in every way. I ordered locks and received locks, not a fuzzy bag of fibers. I am so thrilled! 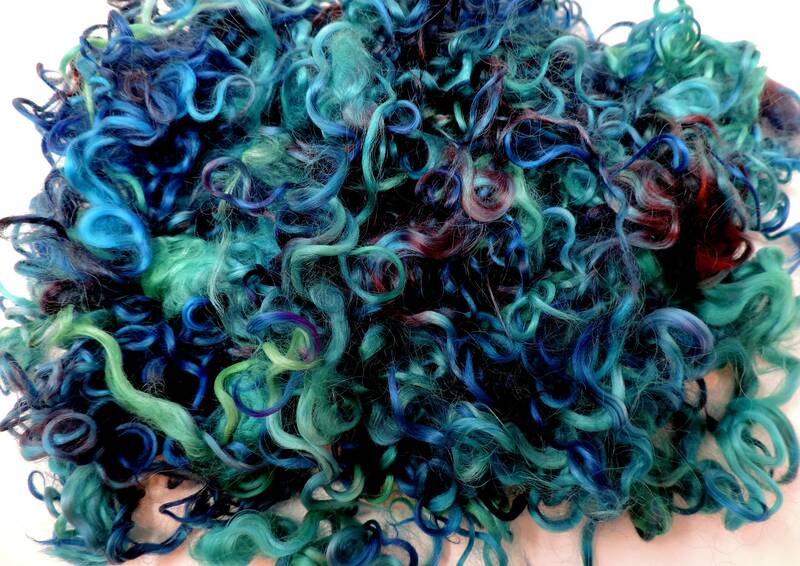 These locks are perfect for my nuno felting mermaid theme. Thank you for a wonderful shopping experience.